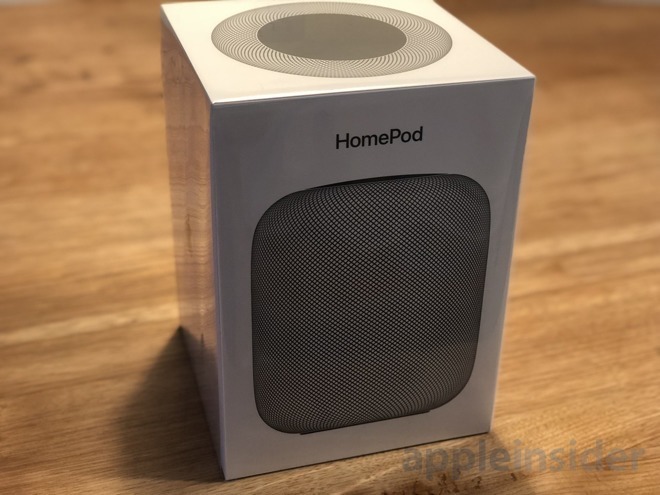 Apple had been busy in January 2018 but now the much-awaited HomePod started arriving in people's hands in the first few days of February. And it immediately entered the real of standard Apple reviews. There were videos on YouTube with titles like "Don't buy the HomePod!" and some were even by people who had actually used one. Fortunately, there were more useful YouTube videos such as this one. If you'd wanted HomePod to be Apple's version of Alexa and you wanted that so much that you didn't listen when Apple actually demonstrated that it wasn't, you were terribly disappointed in February. You can argue that HomePod should be able to do whatever it is that Alexa does but you shouldn't have been surprised when it wasn't given that Apple said it wouldn't be. You can much more reasonably argue about the price, although we knew that was coming too. At launch, the cost of one HomePod was $349 and that is, and was, more expensive than nearly every other smart speaker. And then around the middle of the month you could also exclaim as well as complain because HomePods were leaving white rings on wooden furniture. AppleInsider actually checked with professional woodworkers to find out what was happening. 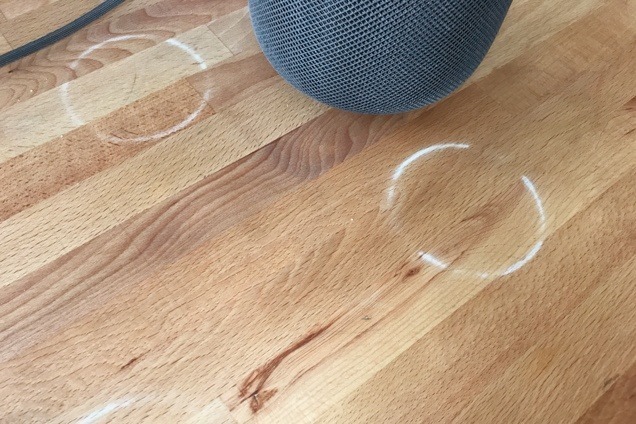 They told us that it was a reaction between the silicon of the HomePod and the polish on some types of wood. Apple agreed that not all furniture was affected and reassured people that the marks might vanish. The white ring problem wasn't as big a deal as it seemed but, still, Apple's response was a bit trite. "If you're concerned about this," said Apple's official support document, "we recommend placing your HomePod on a different surface." Wherever you put it, though, there was no question that HomePod sounds incredible. Even people who wanted more functionality and a lower price should be less were admitting that the sound is fantastic. Except for Consumer Reports. You'll remember these people from their slamming of the battery in the 2016 MacBook Pro and then their quiet retraction of that. Or the 2010 time when their front page said the iPhone 4 had issues with Antennagate but with a subscription you could read the whole report which said it was better than every other phone. This time they said the HomePod's audio quality was very good —but not as excellent as everyone else says nor as good as its rivals. AppleInsider queried both the opinion and the unusual speed with which Consumer Reports came to its conclusions. All we can tell you is that Consumer Reports did later update their piece — but only to reflect how Apple had released a new version of the software. This was to make two HomePods work together or across multiple rooms. "Our testers confirmed that the features worked as promised, though they didn't affect the HomePod's sound quality scores," said Consumer Reports. That Apple update was the delayed release of AirPlay 2 and it did make a significant difference to everyone who has two HomePods. If you have one, it made the significant difference that you now want two. AppleInsider's saga with Consumer Reports would continue later in the year —and we'll get to that eventually. There was one bigger release from Apple in February 2018 but it didn't get many reviews and you are unlikely to be able to buy one. This month the new Apple Park campus officially became Apple's home. The company address was changed from 1 Infinite Loop to 1 Apple Park Way. The old offices still exist, and are still sstaffed. So, this change didn't mean that everyone had moved in to the new building but many had. Unfortunately, it's apparently true that quite a few of them had a habit of walking into the building's glass walls. Though the building didn't need to be transparent to have things collide with it. It's not the most exciting of meetings or presentations Apple ever holds but its February shareholders' one was the first to be held in the new Apple Park. They probably had a lot to talk about because February is when Apple's legally-mandated financial earnings call reveals how the company is doing. There were also a lot of shareholders. While one reason the company created Apple Park was to get more space, this year they had to caution shareholders that there wouldn't be enough room for all of them. Over the course of its meetings and earnings call, even though Apple stood here and told us that it had broken records with $88.3 billion revenue this time, it "warned" that the next quarter was looking like $60 billion to $62 billion. You heard it first —well, second, tenth, a thousandth time —naysayers believe Apple is evidently doomed. That was clearly what investor Warren Buffett thought has his company increased its Apple investment by 23.3 percent in February 2018. That brought his investment to 165.3 million shares. That makes him Apple's largest single investor. 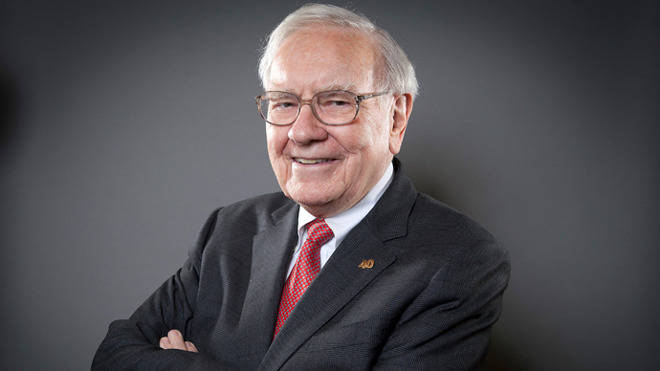 Buffett may have been swayed by the actual sales figures that Apple revealed in this month. 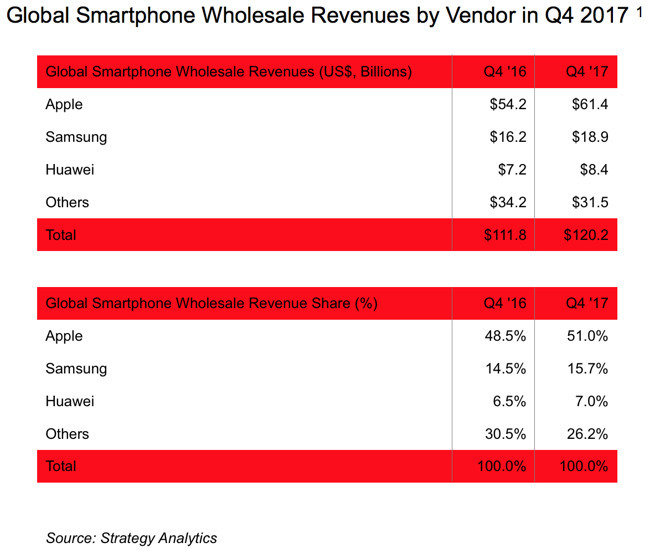 Describing the overall number of shipments from any vendor as having "the biggest annual fall in smartphone history," Apple still did remarkably well. The short way to look at this is that Apple had just released its iPhone X with a price tag of $1,000 so the average cost of its phones went up significantly from the year before. Before the results came out, that was the reason experts were saying Apple was going to fail. After the results came out, it was the reason experts were giving for how Apple succeeded. It really did succeed, too. Apple's iPhone range, combined, took 51 percent of all smartphone revenues and the iPhone X in particular had been the best seller in every week of the quarter since its release. This holiday season also saw a new record for the Apple Watch. It has to be an estimate, since Apple won't release sales figures, but it appeared that the Apple Watch sold more than the entire Swiss watch industry. That's only over the holiday season, it isn't true for the year, but it was a milestone for the Watch. Just one more point to make about these results: they came out in February but they covered the previous holiday season —and given how financial reporting works, that was a week shorter than 2017's one. Less time, more money. 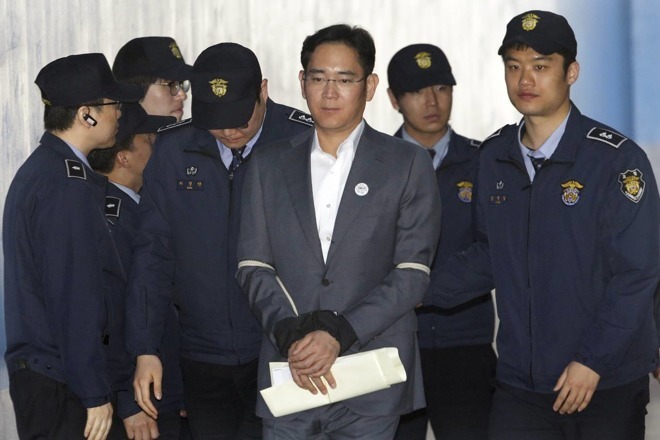 Samsung vice chair Lee Jae-yong had been facing a 12-year prison sentence over charges to do with corruption but in February he was pardoned. He'd served a year in prison but was now freed by an appeals court —just in time for the Olympics to be held in Samsung's home South Korea. Perhaps he'll turn the company around and close the flagship smartphone sales gap between Samsung and Apple. It is only Apple he'll be looking to beat, though, as this month analysts claimed that just 850,000 BlackBerry phones were sold in the whole of 2017. To make BlackBerry even less appealing, the company announced it was to shut down paid apps in its App Store. Developers would no longer be able to sell any apps from March 31. And if you were a developer with a subscription app who'd managed to find some customers, you were out of luck too. All paid apps were to be removed, all payment mechanisms switched off. The whole of BlackBerry's range in the whole of 2017 did at least do better than Google's Essential phone did from July to December that year. Estimates released in February 2018 suggested that only 88,000 Essential phones were sold, making its name a bit of a joke. Microsoft had some issues, too, but more with what happened after it sold Surface Pro 4 models. Some users found their devices developed screen flickering and one of them figured out a temporary fix. 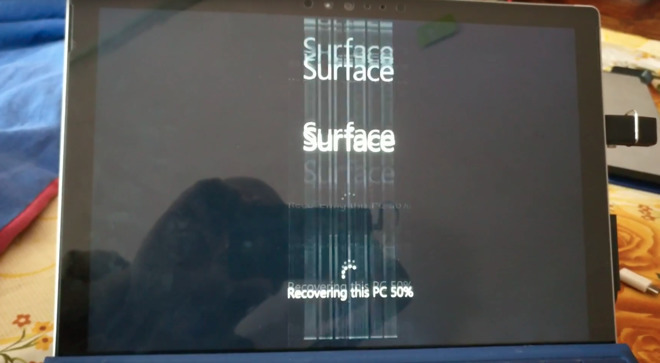 We're not sure what promoted anybody to try this the first time, but reportedly sticking your Surface Pro 4 in a freezer for a while did actually fix the problem. Or at least it did for around half an hour. Meanwhile, the Apple Watch was busy detecting early signs of diabetes and reportedly saving a New York woman's life. It also became the watch of choice for 25 percent of skiers and Apple only now began collecting data for a heart study. On the downside, it was announced in February that Apple had lost health researcher Stephen Friend at the end of 2017. He'd worked there for less than two years and you'd have thought he'd be being kept busy but instead he left and there were no reports of where he was going. Now we can tell you. He left Apple in the December of 2017 to become what he calls an independent entrepreneur. That doesn't tell us a lot but presumably it's going well because he's still doing it now. In comparison, we learned much more about Tim Cook this month or at least we found out what certain FBI agents thought of him. 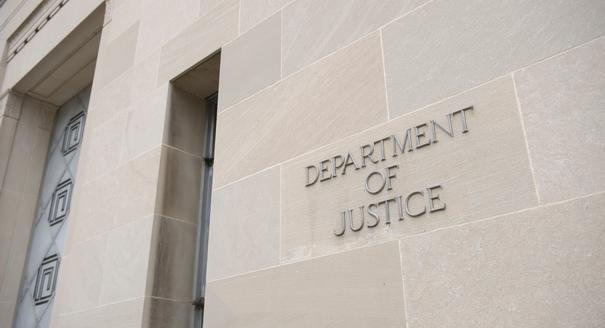 The Senate Committee on Homeland Security and Governmental Affairs published previously private texts between FBI counterintelligence agent Peter Strzok and bureau lawyer Lisa Page. The texts were sent during the time in 2016 when Apple was refusing to give the FBI access to iPhones. He may have been confusing how Apple is upfront about location tracking and actually switches it off when you tell it to, you know, switch it off. Still, there was an irony of seeing the private text messages of someone campaigning to see private text messages. 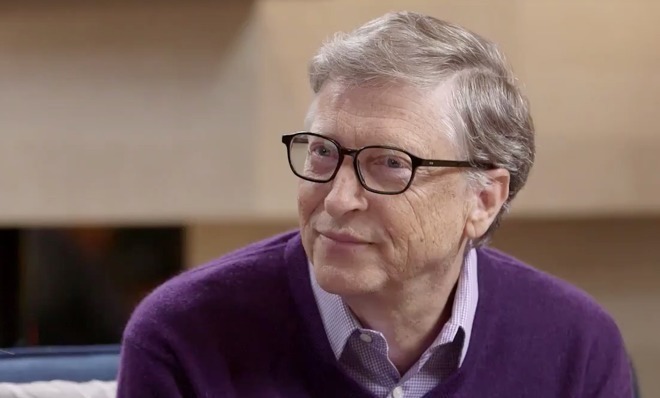 We also got to see Bill Gates come down firmly on neither side of the issue. In February, news site Axios asked what he thought about Apple and the FBI. He still hasn't answered. However, he did caution in very circumspect ways against companies —any company, he's not saying Apple, no —should be wary of being arrogant. There was one last story in February 2018 that should make every one of us just a little bit more cautious about technology. 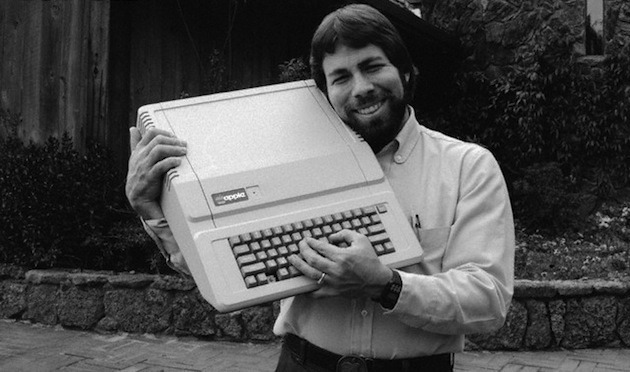 Steve Wozniak, co-founder of Apple, got taken for $75,000. To be fair, that was $75,000 in bitcoins. He was selling seven Bitcoin when the deal went wrong but he'd originally paid less than $5,000 for them. Still, that's not money you'd throw around. Woz says he's still a fan of BItcoin because it is a currency that can't be manipulated by governments. Just apparently by people offering to buy some from you. Read the next part of AppleInsider's 2018 review. New iPads, Alexa laughing at us, and the FBI trying to get backdoors into iPhones — all of these things, and more, happened to Apple and technology in March 2018.